Electric pump motor with light weight aluminum housing, and integrated heat sink for easy cooling. Two-speed design reduces cycle times for improved productivity. Built-in safety valve to prevent overloading. Externally adjustable relief valve allows control of operating pressure. Oil tank cooler is optional, it could support pump long duration Sustained working. Different flow control valves are available to fit sepcial working requiement. 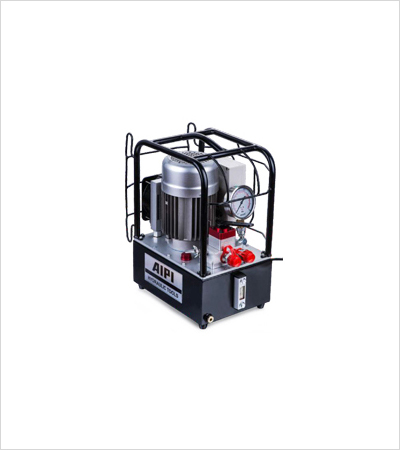 Compact, lightweight and durable aluminium frame protect the pump. Suited to power medium size (double-acting & singleacting) cylinders or hydraulic tools. Suitable for using at small and medium single-action or double acting cylinders.